Desolate Shrine are nothing but productive. ‘Deliverance from the Godless Void’ is their third album for Dark Descent Records in six years, and their fourth overall. It is another exercise in pure, devastating aural darkness and hatred. If you like black metal, doom or death, this is within your wheelhouse. A miasmic fabrication of extremity awaits. ‘The Primordial One’ comes pouring from the speakers like a molten river of blackened death metal lava. Blastbeats smash down upon devastating riffs, while brutal roars echo from caverns of darkness. 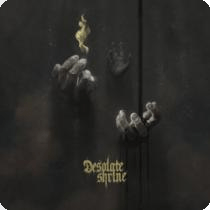 Desolate Shrine are immediately dense, pushing waves of sound at you in an unstoppable force. But they cannot stay one dimensional, with eerie melodies seeping from the gloom in the dissonant, doom laden ‘Unmask the Face of False’. ‘Deliverance from the Godless Void’ has no regard for the boundaries of black, death or doom metal. Desolate Shrine take these genres and combine them into a set of songs that crush not only your ears but your soul, your mind and your hope. For me, the centrepiece and masterpiece is the massive storm of ‘The Graeae’, building from desolate clean guitars into a galaxial riff that envelops everything in its path. Metaphors run short when trying to describe the titanic weight and power of such a song. ‘Deliverance from the Godless Void’ is disgustingly heavy, weighing you down mercilessly until you crumble into nothingness. These songs may be lengthy but never overstay their welcome, and the almost hour running time feels like no time at all. It does feel like your delivery from the Godless void is nothing but a trip to hell. Not a hell that burns, but a hell that suffocates and tears at your weak flesh. This is stunning. ‘Void Masquerading as Matter’ is mysterious Canadian trio Thantifaxath’s first release since 2014, and is another slab of bleak and dissonant black metal. Dark Descent Records are bringing this EP to us, and you can catch Thantifaxath on tour in Canada with Cruciamentum this month which sounds like a hellacious live apocalypse. Opener, and superbly titled, ‘Ocean of Screaming Spheres’ is a burning torrent of black metal fire; relentless guitar work sprays dissonant riffs upon a scorched, heaving earth while blastbeats rain down. Eerie piano-led atmospherics provides respite, but not comfort from the onslaught and you’re left with a palpable sense of dread. ‘Self Devouring Womb’ opens with waves of dissonant guitar, building gradually under tortured screams into a hypnotic, throbbing beast. It builds and builds, never quite reaching the crescendo that you’re expecting, before the bottom drops out and quiet acoustica takes over in a jarring change of pace. ‘Void Masquerading as Matter’ is a disturbing record; dissonant black metal that never quite keeps to your expectations. It is that oddness, that otherworldly evil that pervades each track that keeps bringing me back to Thantifaxath. There’s a blackness about them that isn’t of this world, or even this space time. It makes their black metal both mentally jarring and terrifyingly dark at the same time. ‘Void Masquerading as Matter’ is one of the best and weirdest black metal records you’ll hear all year. Greek deathlords Necrovorous have been rather quiet recently, but this three man wrecking crew have drawn fetid breath once more to release the frankly terrifying ‘Plains of Decay.’ It is due out 29th September on Dark Descent Records, and is a record groaning with riffs and morbid brutality. Opener ‘The Sun Has Risen in a Land I No Longer See’ crushes together the rabid, rusted chainsaw riffing style of classic Swedeath with a rumbling, Bolt Thrower-esque thunder. Setting out your stall early with a song like this is great, because as a reviewer you’re instantly drawn in. ‘Cherish the Sepulture’ is a more crawling, monstrous entity, as is the closing stretch of the hellacious ”Eternal Soulmates’. Necrovorous have this dark, dense magic that flows from each crusted riff, each bile dripping roar, and it inserts itself within your skin like an infectious disease. Apparently Blood Incantation come from this planet. Colorado in fact. It’s weird really, considering the rumbling noise that emanates from their latest release, ‘Starspawn’. They certainly sound like they are birthed from the darkest parts of our cosmos, sent here to pass on unholy messages and portents of our doom from the outer reaches. 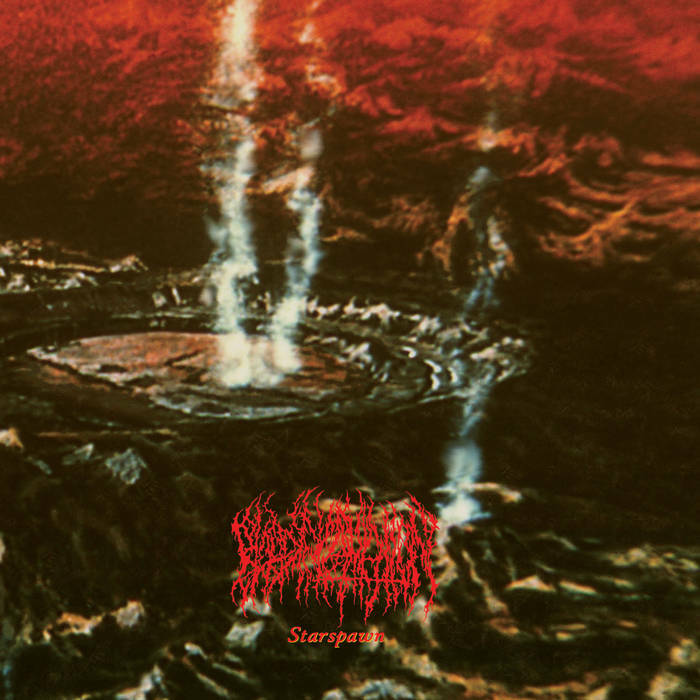 Like Morbid Angel wrote music about Lovecraft and nothing else, Blood Incantation crush. Opener ‘Vitirification of Blood (Part 1)’ is a titan slab of muddy, atmospheric death metal where the lumbering, flailing decrepit riffs are slain with atonal solo notes that shriek from spaces unknown. The album art draws up those dark comparisons to cyclopean wastes with natural powers too vast to comprehend, where the ground cracks and steams with the fury of these riffs. ‘Chaoplasm’ is the kind of death metal that reinforces that feeling of dread and unknown brutality that you felt the first time you ever heard the genre. It is oppressive and mercilessly heavy. 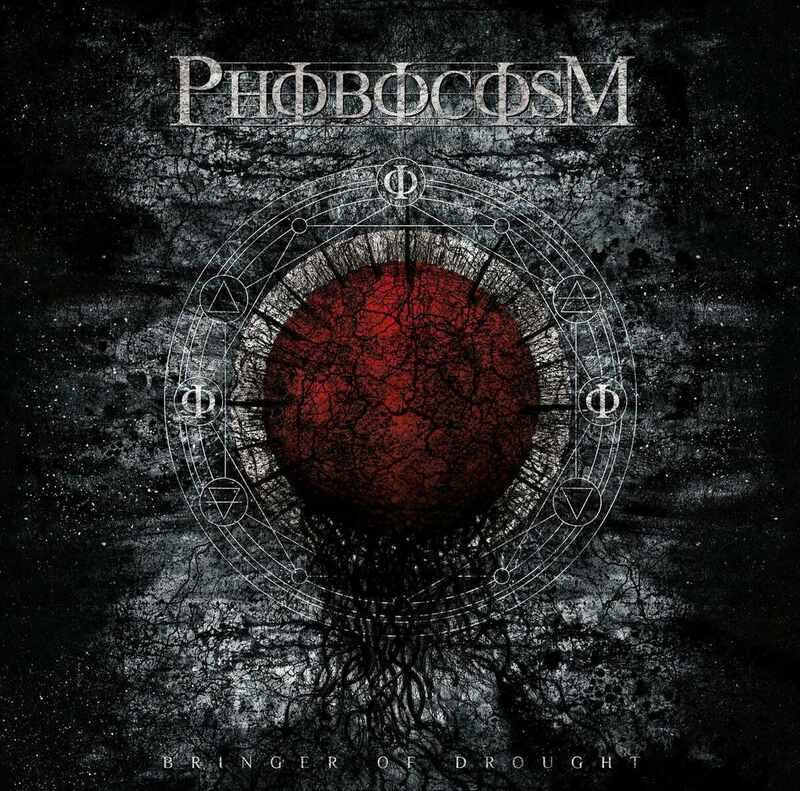 Canadian death metallers Phobocosm hail from Montreal, and if you’re thinking ‘Canadian death metal’, you’re thinking Cryptopsy and Gorguts. You’re also thinking about some of the most inventive and ‘difficult’ death metal on the planet. Enter ‘Bringer of Drought’, a labyrinthine exercise in dissonant brutality. Out now on Dark Descent Records. The opner ‘Engulfing Dust’ crawls upon you, like a miasmic smothering of death metal. An atmosphere loaded with prime Nile heaviness entwines an inexorable heaviness, like being caught in a mire with no escape. ‘Tidal Scourge’ feels like the flailing death of a drowning man, with the darkness of the deep looming to grab him. There’s a lot of this, almost Lovecraftian death metal around these days, music that devastates you with guttural heaviness and a maddening unease. The earth shakingly heavy ‘Ordeal’ opens with one of my favourite riffs of the month, because it is so dense. But nothing compares to the world collapsing weight of closer ‘Fallen’, which writhes and thrashes like a beast among the stars; destructive waves radiating from its black core. The quieter moments even pulse with malevolence, and the guttural vocals feel like a voice from beyond. Alabama death squad Grave Ritual have returned after five years to unleash their second album, ‘Morbid Throne’, nine tracks of rumbling death metal heaviness. You’re looking at raw, early death metal dripping with deadly atmosphere, out on the 30th of October through Dark Descent Records. ‘Baleful Aversion’ brings a primitive, Autopsy-esque sludge to it, with a curshing low end and a thick, murky atmosphere. There’s a relentless, grimy fury to songs like ‘Autonomous Death’. Grave Ritual are dense, uncompromising and uninterested in being the fastest, most technical or the most original. What Grave Ritual do is bring the best in choking death riffs, and power it with a thick rhythm section to create maximum destruction. ‘Invoker of Heathen Gnosis’ steamrollers through the competition, an unstoppable juggernaut of heaviness. 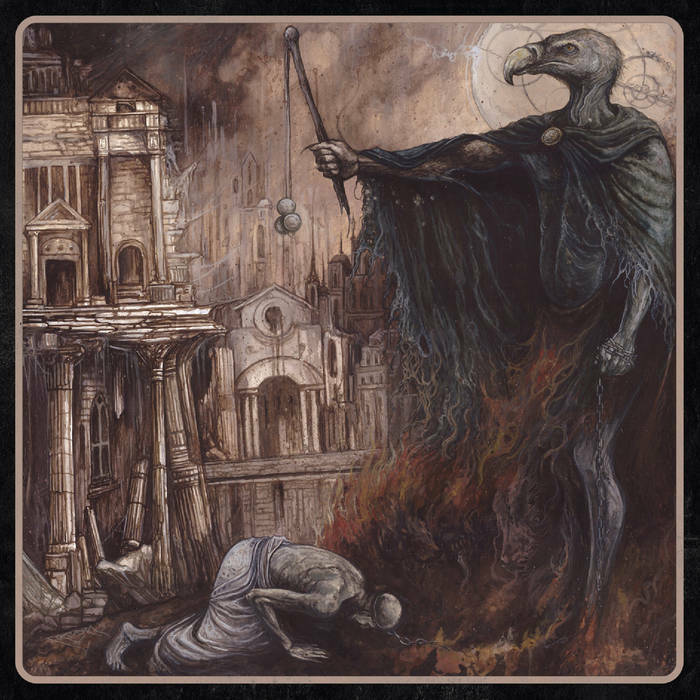 The cruishing battering of ‘Tyrant’s Hammer’, which has a grinding Incantation-esque midsection, is a particular highlight in an album where it’s difficult to pick just one. Like the clawing hands of the undead, Grave Ritual write music that gets under your skin and infects you. ‘Morbid Throne’ is a draining record that demands repeated listens to ensure you fully appreciate each rotten riff and each demonic growl. 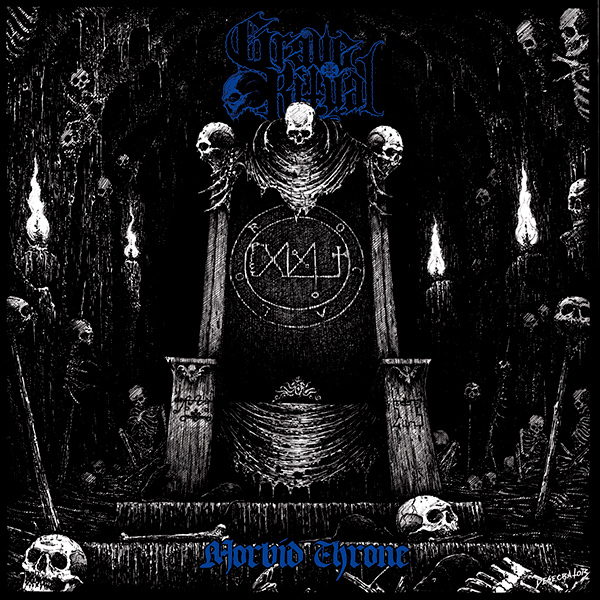 ‘Morbid Throne’ is one of the better old school death metal records I’ve come across this year. The sheer brutality on offer here, coupled with an authentic execution of solid, early 90s style death metal, makes Grave Ritual a winner in my book. This is the kind of rotting fetid extremity that I love, and I think ‘Morbid Throne’ will be considered to be a lynchpin in years to come.